Hemichromis exsul by Anton Lamboj. 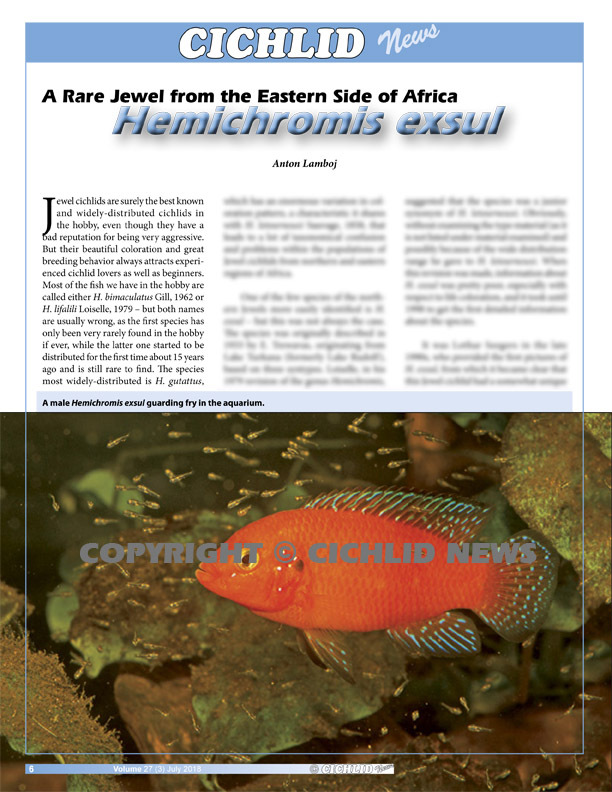 A rare jewel from the eastern side of Africa. 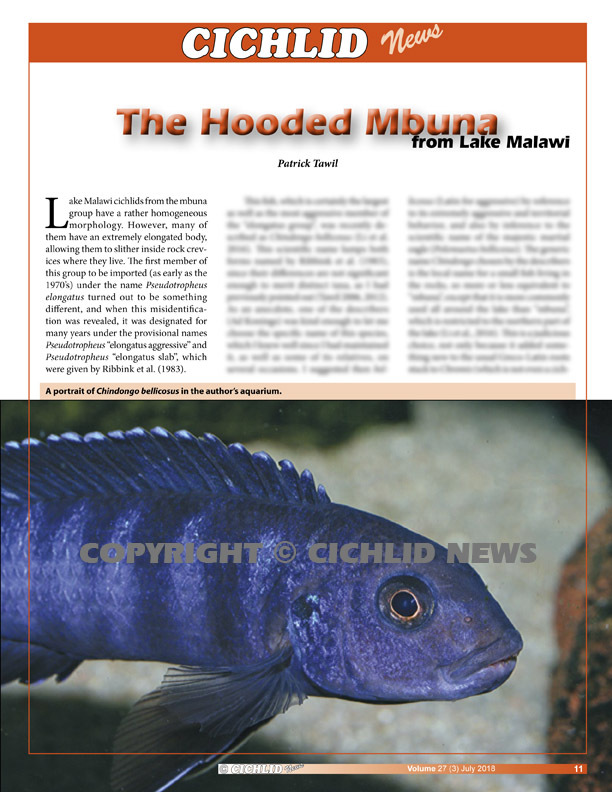 The Hooded Mbuna by Patrick Tawil. The “elongatus aggressive” group from Lake Malawi. Tomocichla tuba by Juan Miguel Artigas Azas. 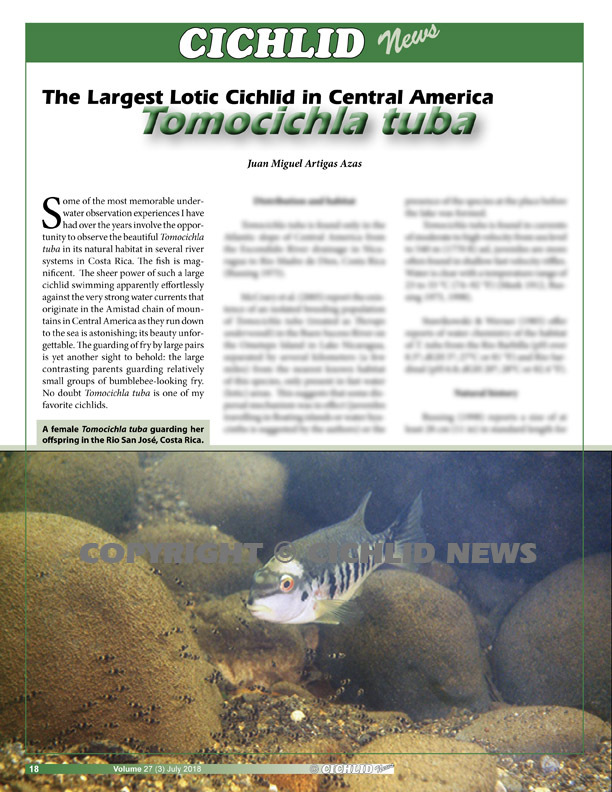 The largest lotic cichlid in Central America. 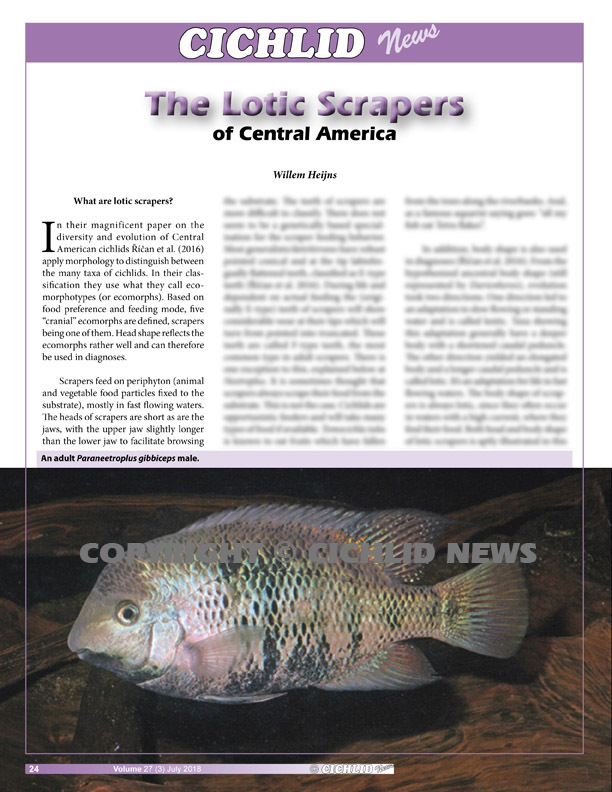 The Lotic Scrapers from Central America by Willem Heijns. 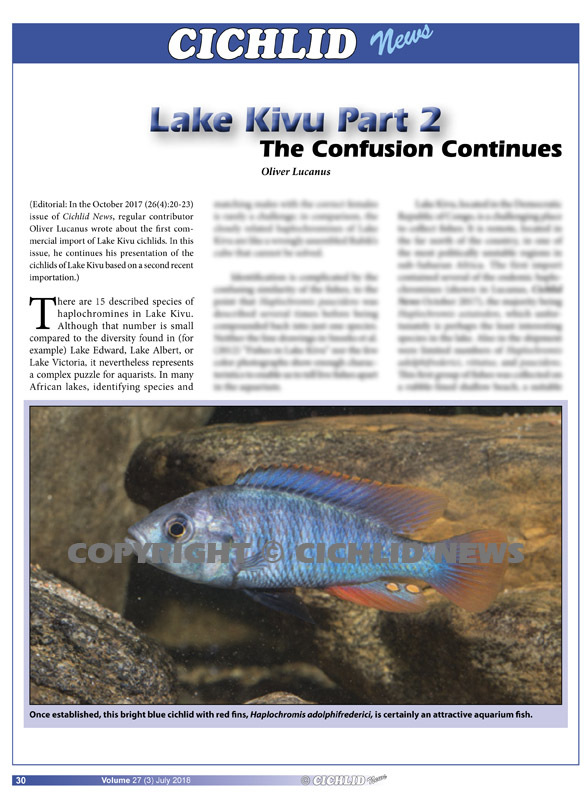 Rheophilic cichlids with a shared ecomorphotype..
Lake Kivu Part 2 by Oliver Lucanus. A second shipment from this part of the world has arrived and the confusion continues. 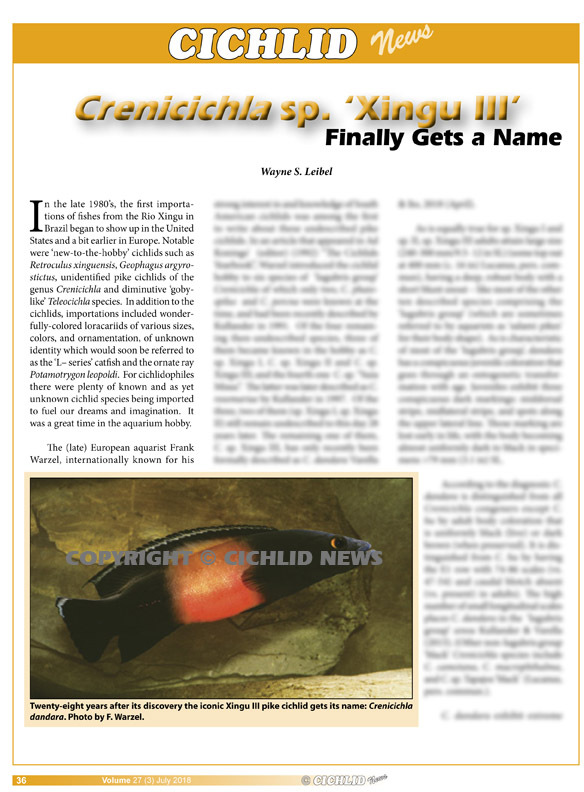 Crenicichla dandara by Wayne Leibel. 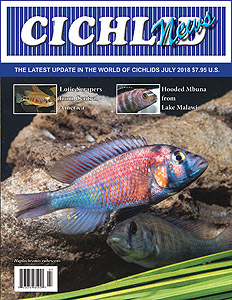 Recent description of an iconic South American cichlid.